Now that the Moto G series devices are receiving official Android 8.1 Oreo OTA update, the Pixel 3 Gcam Mod is now being ported for the same. The latest Google Camera v6.1 APK that came with the Pixel 3, and targets Android 8.1 Oreo or later, is now available as modded app for the Motorola devices. We know that Moto G5, G5 Plus, Moto G5S, G5S Plus are already running the latest Android 8.1 firmware update. Not to forget the recently released Oreo beta (Soak test) for the Moto G4 and G4 Plus. So download and install the latest Google Camera 6.1 from the Pixel 3 on your Motorola devices. The latest version of the Gcam mod for the Moto G5 devices also features the highly anticipated Night Sight mode along with most of the Pixel 3 camera features. These features includes a new user interface, RAW support, brand new panorama mode, Face retouching option in portrait mode, Focus slider, quick access to Lens mode, Night Sight, and much more. See the full list of features below. The new Google camera mod targets Oreo or higher version of Android OS. Here we have listed a tested working Gcam mod for the Moto G series devices running Android 8.1 Oreo or later. The latest Google Camera is best suited for devices running a custom ROM like Lineage OS, Arrow ROM (Android 9.0 Pie), Resurrection Remix, and all the ROMs featuring Android 8.1 or above. However, you can also try it on the stock Motorola firmware. Thanks to developer san1ty. How to install Google Camera mod for Motorola devices? The above Google Camera app can be easily installed as a normal APK. However, as we know, the Moto G5 series devices do not have much RAM (memory) and the Gcam features are heavy on memory. So you may find difficulties or lag running some of the features such a Night Sight. 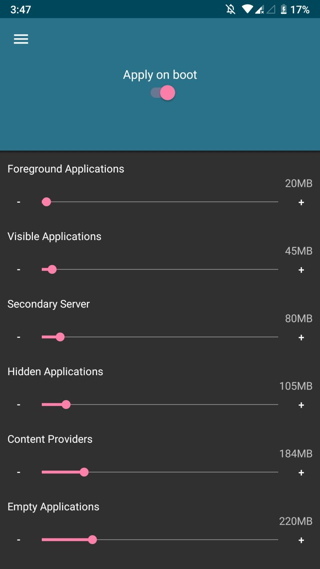 Here, we will show you some recommended setting and how to lower memory usage and use the Night Sight features using Kernel Adiutor (for rooted users). Download and install the Gcam Mod from above. Install Kernel Adiutor from Play Store. Open it and go to low memory killer. Change the values according to the following pics. 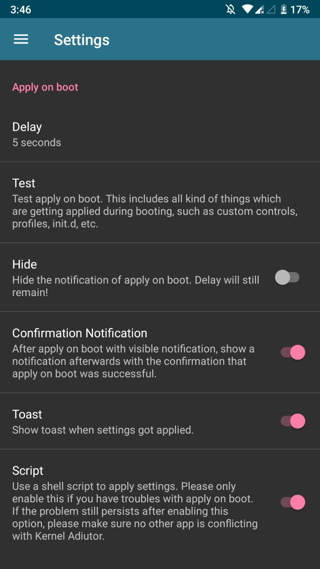 Also the Kernel Adiutor settings. Atleast credit the real Dev who has ported all these features for Moto G5 plus.The one who ported this is san1ty (https://www.celsoazevedo.com/files/android/google-camera/dev-san1ty/, https://t.me/san1tyy, https://forum.xda-developers.com/member.php?u=2963760). It would be great if you could credit the Potter ( Moto G5 plus ) telegram community for rigorous testing. Please credit san1ty as the developer. Please credit San1ty who has ported this to the G5 plus.